Today, positioning tasks across all industries often require drive solutions which work precisely to the micrometer or even the nanometer. The requirements which positioning drives need to meet in addition – apart from the required precision – are as varied as the applications they are used for. 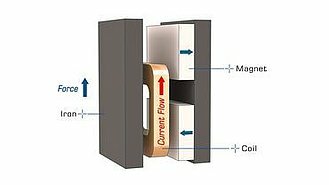 Magnetic direct drives, which include voice coil actuators and linear drives, are often predestined here as practice-relevant solutions for a number of reasons. 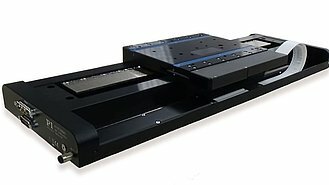 In particular in terms of wear and dynamics, magnetic direct drives offer advantages compared to common spindle-based technologies. Since they use as few mechanical components as possible, this results in less friction and backlash and thus more precision. At the same time this increases energy efficiency. Both position as well as force control are possible. 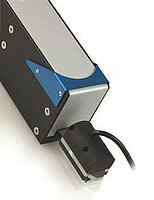 In combination with a digital controller, they allow quick solution of problems in the automation system that require rapid, micrometer-precise positioning and controlled actuator force. System components like stator, actuator or electronics are adapted individually by PI to the respective applications for the magnetic direct drives of the new PIMag® series. These bespoke solutions can be of benefit in many areas of automation and handling technology, for example, tip/tilt mirror, dosing, inspection and focusing applications, endoscopes or space telescopes.